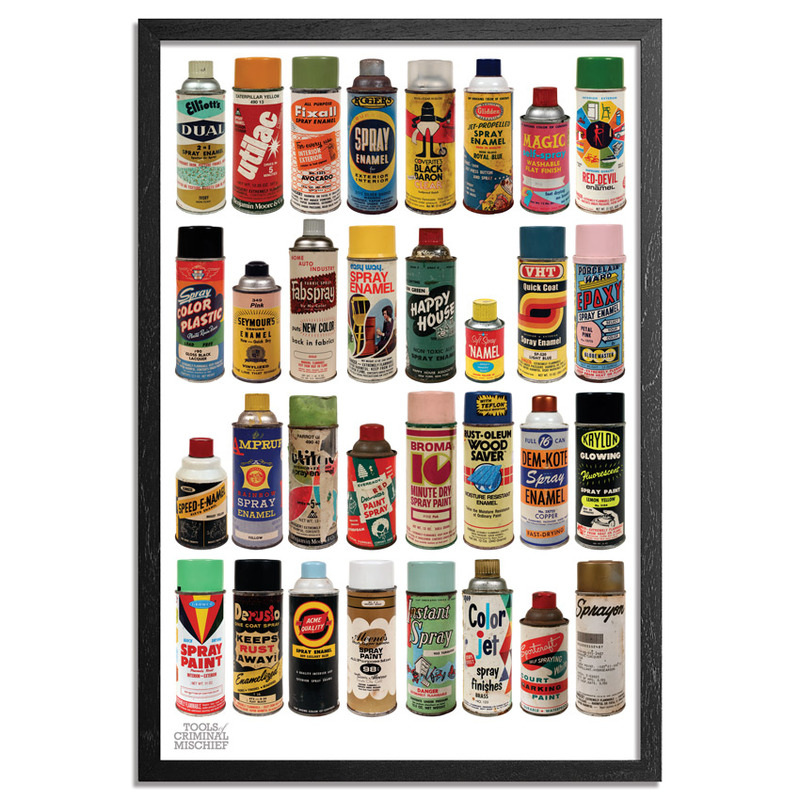 1xRun: How was this piece created and when did it come together? This RUN comes signed and numbered by Roger Gastman and includes a Letter of Provenance from 1xRUN. 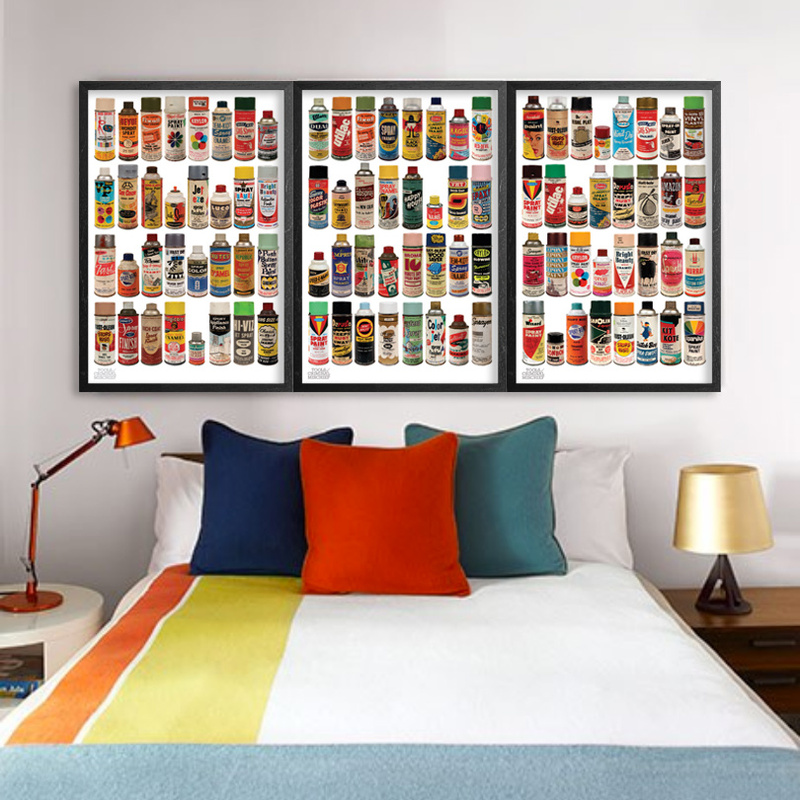 NOTE: Each print in this set is pulled from its respective edition of 250. 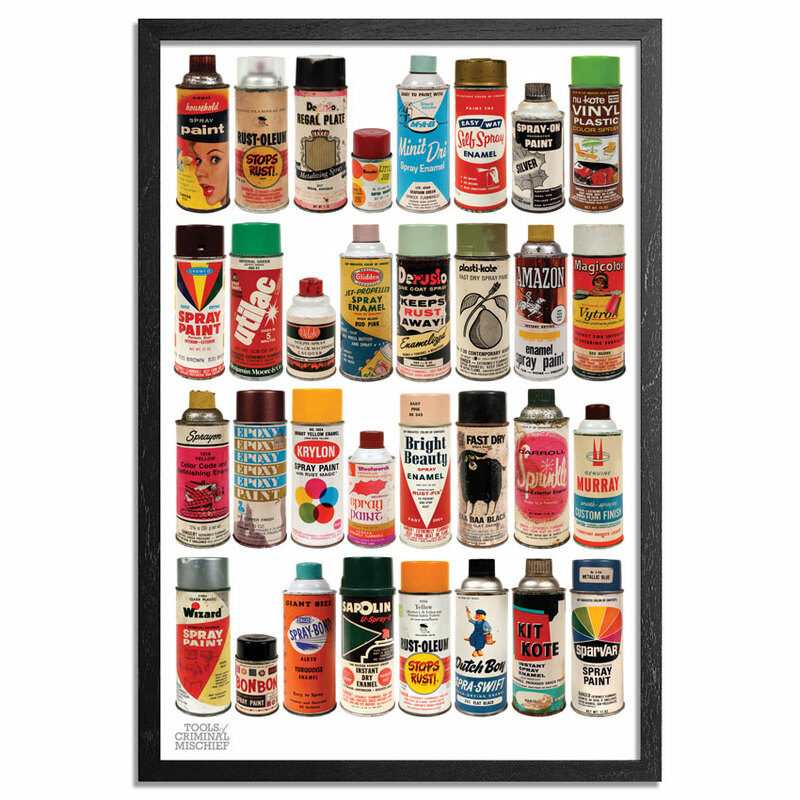 The Original Tools Of Criminal Mischief print series began with The Cans as part of a three-print series created as companion pieces to Roger Gastman’s limited-edition book, The Tools of Criminal Mischief. 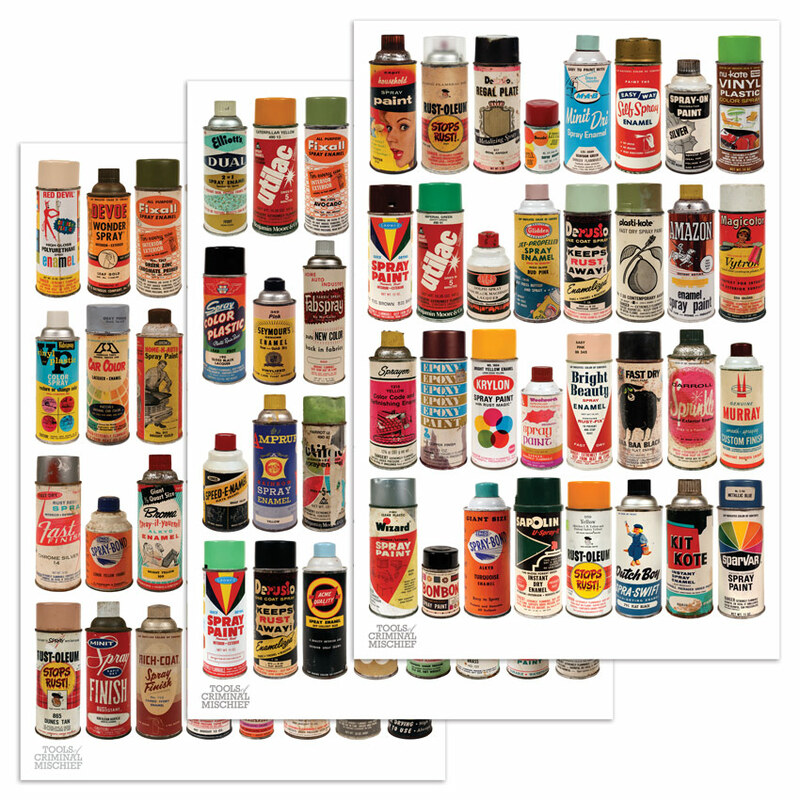 The 24-by-36-inch prints feature vintage spraypaint cans from Gastman’s collection, which was also featured in MOCA’s Art in the Streets exhibition. 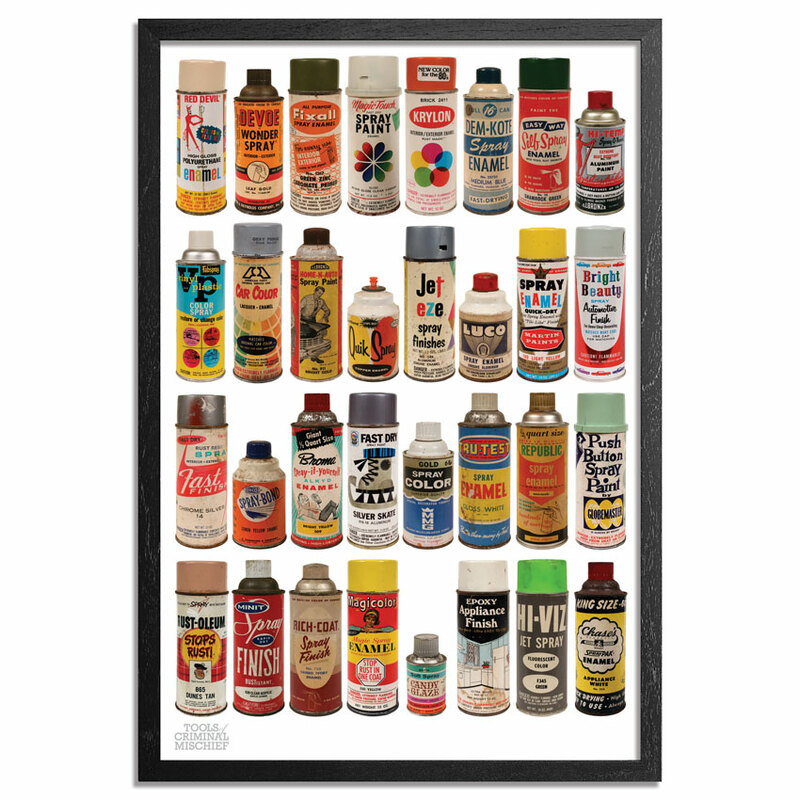 For the landmark exhibition Gastman carefully selected the cans for each print, which includes coveted brands such as Krylon, Rustoleum and Red Devil as well as off-brands with colors such as Silver-Skate Aluminum and Baa Baa Black.